Digitalization, the web, and mobility maximize human's individuality, independence, and impatience with unprecedented power and pace. New consumers call for innovative playing fields (markets), new rules (business models), and new players adding innovative thinking (leadership). New entrepreneurs create revolutionary, skyrocketing business models and markets, products and services - unmatched by traditional managers, brands, and businesses. Still too many of them are trapped in now obsolete structures, concepts, and cultures. Too much did they invest in their out-dated beliefs and yesterday's successes. The corporate minds must finally outgrow themselves! Creating Value for the Individual, Adding Value to the Corporation. 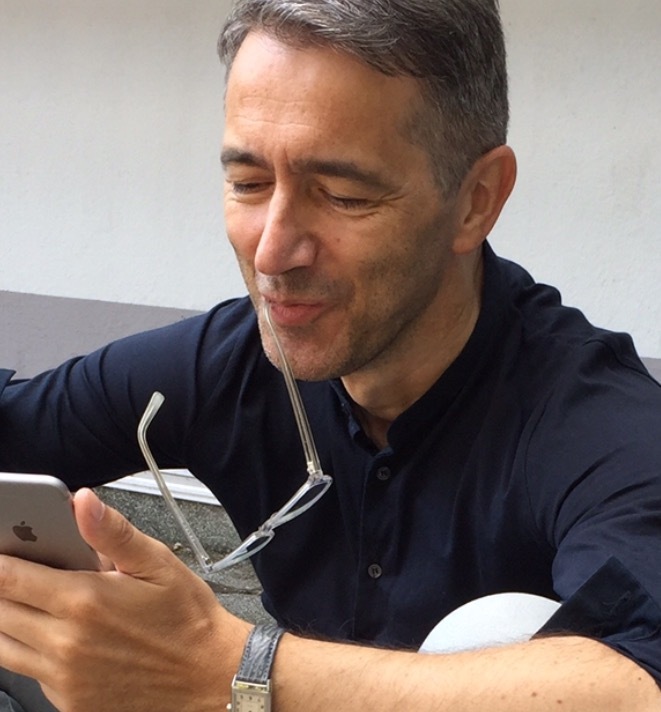 > BACE (Brand Ambition, Culture, and Engagement). > fore/zeit's Informal Markets Matrix*. 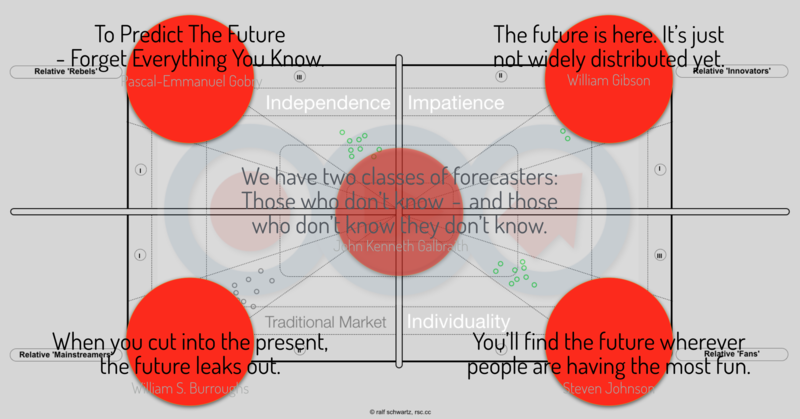 *fore/zeit's Informal Markets Matrix is a 4-dimensional foresight & innovation canvas featuring human's new Individuality, Independence, Impatience (which are - due to digitalization, the web, and mobility - today's key innovation drivers). 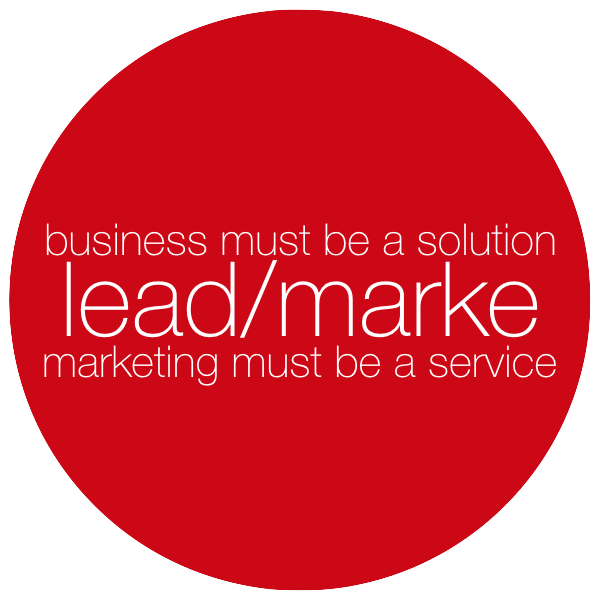 lead/marke CO-CREATEs your Brand Engagement - at eye level with your product development and product life cycles. By passionately inspiring the individual to enthusiastically engage with your brand and 'spread the message' themselves traditional advertising ideally(!) becomes redundant. Brand Engagement is a blend of Cha[lle]nging the Game, Gamification, and Game Theory's reciprocity. Based upon fore/zeit's Informal Markets Matrix and the intuitive, but quite demanding "PLUG x PLAY x WIN-WIN". By first and foremost inspiring each employee and the company itself your brand becomes a community, curator, content provider. It takes a Community not a Campaign to build a Brand. - builds the respective departments/functions/competencies. doing stuff right for the 1st time. lead/marke CHA[LLE]NGEs YOUR GAME, CO-CREATEs, and CRAFTs Human Solutions to grow a sustainably distinctive and successful future for the corporation, it's employees, and customers.